The farmhouse in 2001. Jim Rylatt. The barn which may be demolished. Taken in 2001. Jim Rylatt. 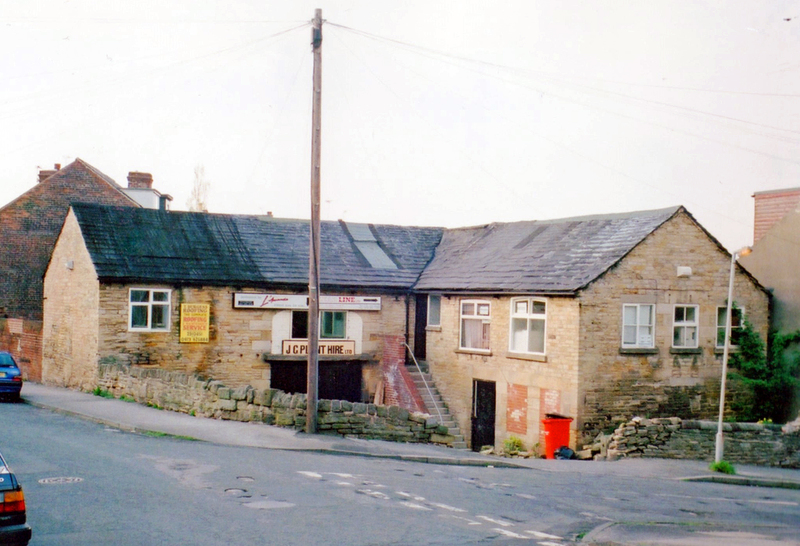 There is currently a planning application to demolish one of Walkley’s oldest buildings, a former barn known as the Creevela Works on Parsonage Crescent. Below is archaeologist Jim Rylatt’s brief history and architectural description of the barn. Details on how to object to demolition follow Jim’s description. 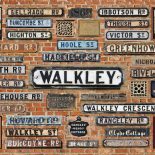 The results of my studies have indicated that the structure now known as the Creevela Works is the second or third oldest building still standing in Walkley. The oldest building is the Heavygate Inn and the other structure is Primrose House, on the opposite side of Parsonage Crescent. These are the only three surviving buildings in the whole of Walkley that predate the formation of the first Freehold Land Societies in 1849 and 1850. 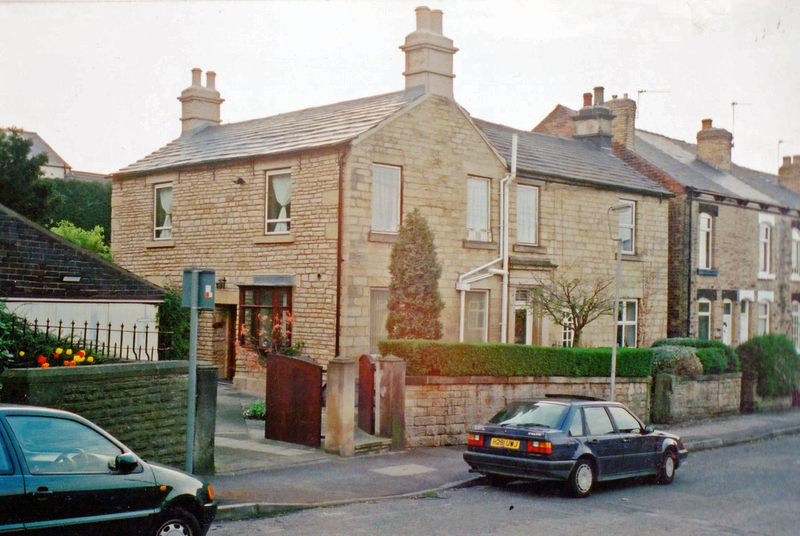 Primrose House was a relatively substantial farmhouse and the ‘Creevela Works’ represented the associated range of agricultural buildings, the access to the farm being formalised as the section of Parsonage Crescent linking Walkley Road and Parsonage Street. The walls of the Creevela Works exhibit evidence of a complex history of adaptation and alteration. The ‘L’-shaped farm building is constructed from local sandstone and would probably have originally had a stone slate roof – the walls are fabricated from roughly coursed rubble, but there large quoins at the external corners and around openings. The wing facing onto Parsonage Street has a large opening indicating that it would have been a cart barn, possibly with a threshing floor. The smaller openings in the other wing raise the possibility that it started life as a cowhouse, probably with a hay loft above. The outward form of the current building is consistent with a construction date in the 18th century. However, it should be noted that similar structures surviving in the Peak District sometimes encase the remains of earlier timber cruck barns dating to the 16th and 17th centuries. Essentially this is the last agricultural building in Walkley and must also be one of the closest former farm buildings to the city centre. It is the sole representative of a period of activity that saw the birth of the Industrial Revolution, when many local people were still participants in a mixed economy centred on farming and light industry. Considering these factors it is surprising that this structure is not being considered for statutory protection as a listed building (along with the associated farmhouse – Primrose House), rather than for demolition. If you are interested in preserving the building can you please write to the council and object to the planning proposal. Councils don’t usually take the historical importance of a building into consideration unless it is Listed, and then they can over rule its listing. The development is larger than the guidelines for number of dwellings per hectare. The development will overshadow the surrounding residents. Quote the planning reference number – 14/00831/FUL. Please note that the deadline for objections is April 4th, not March 28th as it is (currently) incorrectly stated on the website. Received news today that there is to be an archaeological desk-based assessment and historic buildings assessment. We still need as many objections as possible so please do register your objection to the planning department. You may also be interested to know that even before we had been notified of the plans, Clear Line had put the job out to tender. It’s a lovely looking building, it would be a great shame if something from that important period of time in the history of Sheffield would end up being knocked down. I hope it gets saved! The application is now live again, details can be found using the link above. Despite various alterations over the years, the recent assessments have confirmed it’s local archaeological significance (and moderate architectural and historical significance more generally). If you haven’t yet objected, please do. This still has to go to the planning committee, but the planning officer is recommending approval (see planning website for full details). Please lodge your objection if you’ve not already done so. This is scheduled to heard on Tuesday 28th October at 2pm. Only found out due to an email from one of my local councilors. Why haven’t local residents been informed? The short notice and no notice (apart from the council website, and who checks that every day) is massively biased in favour of the applicant. Despite having registered on the website, I received no notification. Council rejected the plans. Don’t expect this the be the end of the matter though. The appeal against the refusal of planning permission was dismissed on July 1st 2015. The key issue was once again the mismatch between the number of houses (4) and the number of off-road parking spaces (1). Unfortunately, you would have to think that a less ambitious (and greedy) scheme would have a good chance of success. This entry was posted on March 26, 2014 by Bill Bevan in News and tagged Barn, Creevela, history, Planning, Walkley.